The Childrens Museum runs a popular kids arts studio. 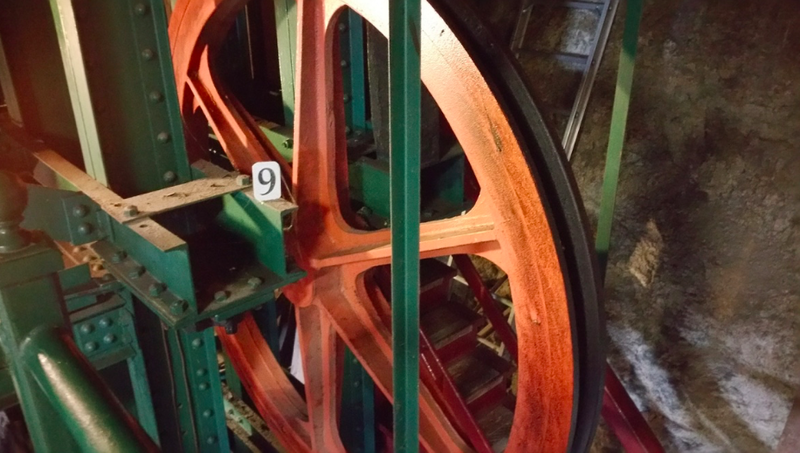 The tiny Duquesne Incline Museum lets you see the gear wheels up close. The ornate ceiling of the beautiful Carnegie Museum of Natural History. Not only has the once-industrial city quietly evolved into a cultural and recreational mecca for families, but it has done so gracefully and rapidly without losing its roots. The Heinz and Carnegie families would certainly be impressed with what the people have wrought, from a revitalized downtown to contemporary centers of cultural arts, academia and the sciences as well as spectacular new stadiums, parks and vistas. For strategic reasons, the best place to stay is at one of the several downtown hotels, which you can read more about in our Pittsburgh Family Friendly Hotels guide. Much of downtown is very suitable for walking tours and is teeming with shopping, dining and cultural attractions. Although sites are accessible by short bus and metro jaunts, use the bus system with caution for more outlying destinations and on weekends. The schedule and stops are less than reliable – by experience and the bus drivers’ own admission. When visiting by car, save time by driving – parking and traffic are not formidable by big city standards. Downtown exploration can also be a stepping stone to the appreciation of the vast riverfront, parks and paths, which offer a plethora of hiking, biking, rollerblading and kayaking opportunities. Bicycling the city’s riverfront greenways is (you can arrange rentals at Golden Triangle Bike Rentals (412/600 0675) is one of the most memorable ways to experience the regional attractions. If embarking on a downtown adventure, include a stop at the Point State Park at 101 Commonwealth Place, a national historic landmark for the strategic role it played during the French and Indian War. At the point where the Allegheny and Monongahela rivers meet to form the Ohio, Pittsburgh’s Golden Triangle has a fabulous water fountain, paved promenades along the riverfront, overlooks with dramatic views of the city, busy waterways and impressive hillside scenery. At downtown’s edge, the famous Strip District lays in wait leading you to ethnic food markets, specialty shops and antique stores. Include a stop at the Heinz History Center to learn how H. J. Heinz parlayed a tomato patch into a multi-billion dollar food business and why the nostalgic ketchup bottle label shape is seen even on State Highway markers. Don’t miss the Heinz 57 product marketing exhibit. Some of the prime family attractions are away from downtown. A sports themed weekend should include both the 64,475- seat Heinz Field (replacing Three Rivers Stadium) as well as PNC Park, the 38,000-seat home of the Pittsburgh Pirates. 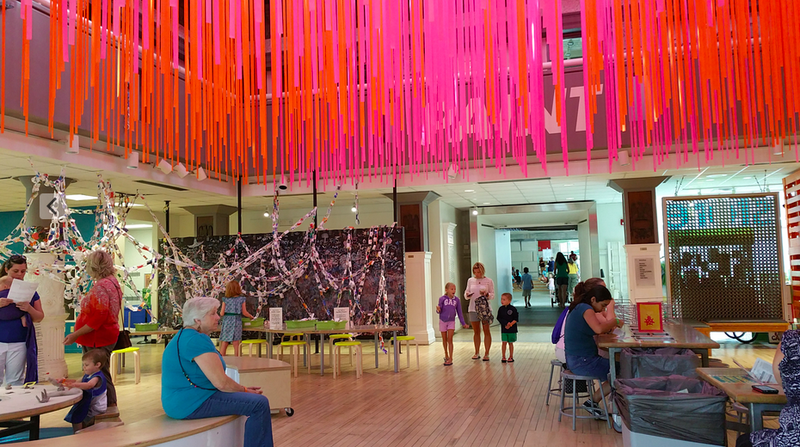 If your family’s goals are learning and amusement, a must is the Carnegie Science Center (One Allegheny Avenue, 412/237-3400). One of four of Pittsburgh’s Carnegie museums and next to Heinz Field, this spectacular imaginarium modestly bills itself as one of the top science centers in the country. As a leader in science and technology education, the Center attracts more than 650,000 visitors each year to its four massive floors of more than 300 hands-on exhibits, a four-story Omnimax Theater, interactive planetarium, a real submarine, three live demonstration theaters and the world’s largest science and sport exhibition. The secret to its success is the ability to connect science and technology to everyday life by old-fashioned fun, doing, touching and inspiring curiosity. I confess that I found myself distracted and occupied as much as my children. Some of my favorite interactive exhibits included the numerous and varied quickie science experiments, how and why displays, the marine reef aquarium, the real submarine, the largest and most intricate model railroad and village (more like a country), planetarium and live demonstration theatres. In the separate SportsWorks building, the physics of sports and human movement is emphasized by actual participation and amusement park-like virtual reality rides in 30 displays. The new Highmark SportsWorks is wondrous enough to see alone as an entire day’s activity. If this experience does not satiate the family’s thirst for knowledge, then the next item on the agenda must be the 77-acre natural-habitat Pittsburgh Zoo and PPG Aquarium (412/665-3640). Located in a slower-paced suburb, a car is a must to comfortably reach this home to 3,000 animals and 22 endangered species. My favorite attractions were the indigenously designed aquariums, the gorillas and the kids’ touching areas. If you are making the effort to travel to this region, combine this excursion with another worthy experience in the nearby Oakland District for efficiency. Both the Phillips Conservatory and Botanical Gardens or the Carnegie Museum of Natural History make a memorable add-on. The Museum (location for the IMAX film of “T-Rex” Back to the Cretaceous) offers a strong, state-of-the-art dinosaur and paleontology experience and the Gardens will satisfy the needs of any budding gardener or botanist. Any visit to Pittsburgh absolutely must include a ride up one of the two historic incline railways along the south ridge of the river providing you with one of the most spectacular urban panoramic views I have ever seen. Although a tad farther, I recommend the Duquesne Incline (1220 Grandview Avenue) for the best view. Bring a camera, exact fare change and an appetite, and plan to dine at one of several restaurants at the top. The advantage of the other incline, Monongahela, is its association with the renowned Station Square (800/859-8959) district at its base. 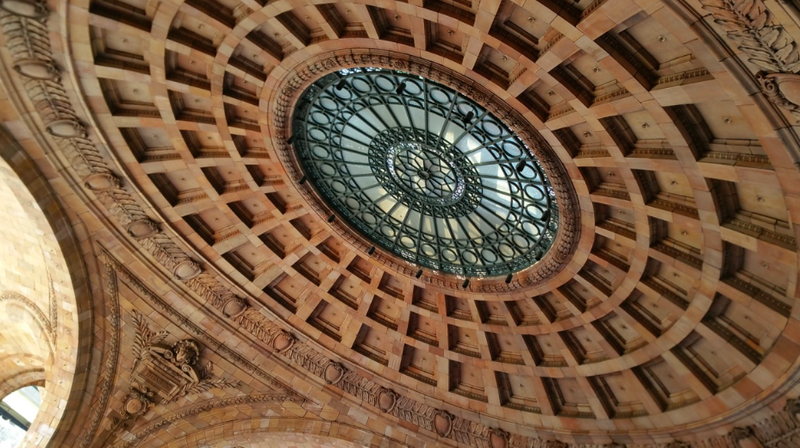 The site of the ornate restored Pittsburgh and Lake Erie Railroad headquarters, this 52-acre, domed riverfront shopping and restaurant playground is also home to an amphitheater and outdoor museum. It bills itself as the largest excursion boat operation with six self-contained riverboats. Families can board the The Good Ship Lollipop; a river cruise on one of these floating entertainment centers where the kids can run around while you plan your return trip is the most serene way to go. Visit Pittsburgh (800/359-0758 or 412/281-7711) is your one-stop shop for all the information you need including, hotels, reservations, attraction addresses, phone numbers, admissions, restaurants and links to other sources. When you realize that Pittsburgh is within 500 miles of more than one half of the U. S. population, you can see why it makes the perfect destination for a weekend family getaway. In fact, each summer it is promoted with a very affordable discovery package called “Kidsburgh” which can be viewed and purchased entirely on their very slick web site. Spring for one or two nights to compensate for The Kid Factor. We found the package itinerary is a tad ambitious and rigorous for parents who know that precision scheduling and children are not necessarily compatible. The additional investment will yield more leisurely, vacation-like results. Which is, after all, the point.